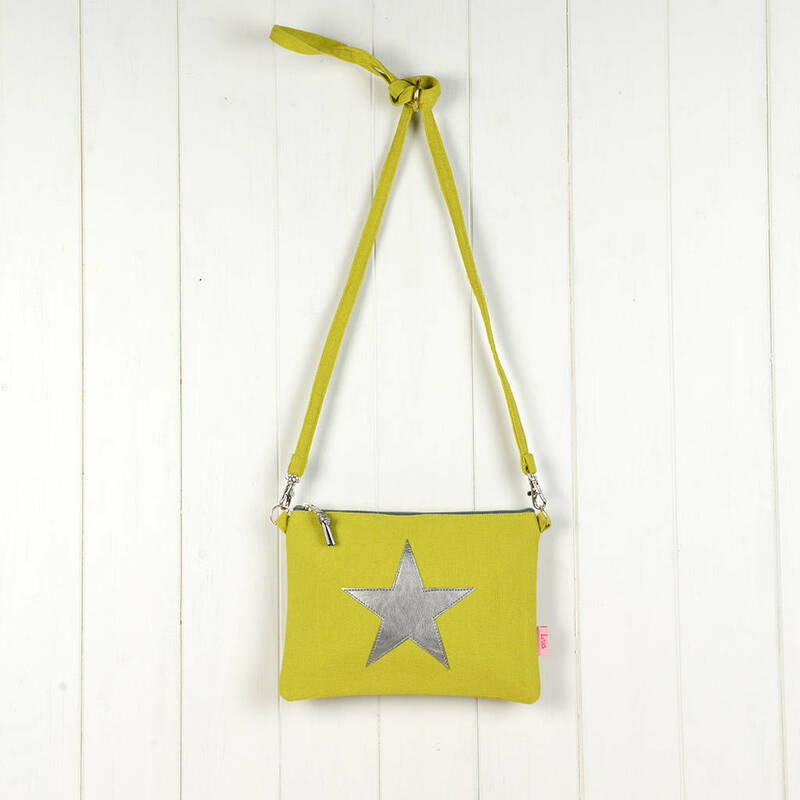 Mini star, cross shoulder bag. 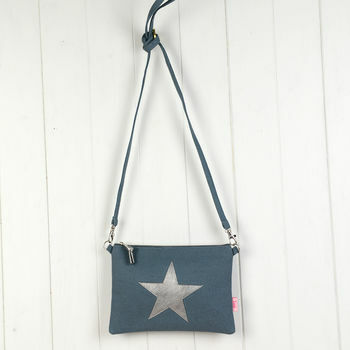 Cotton canvas with metallic star applique. A great bag for a holiday! 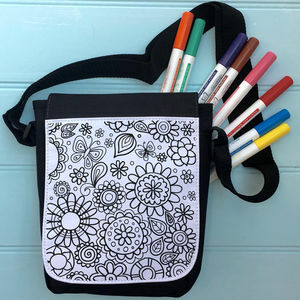 A cute, every day bag. Handmade in Vietnam, by a womens co-operative. 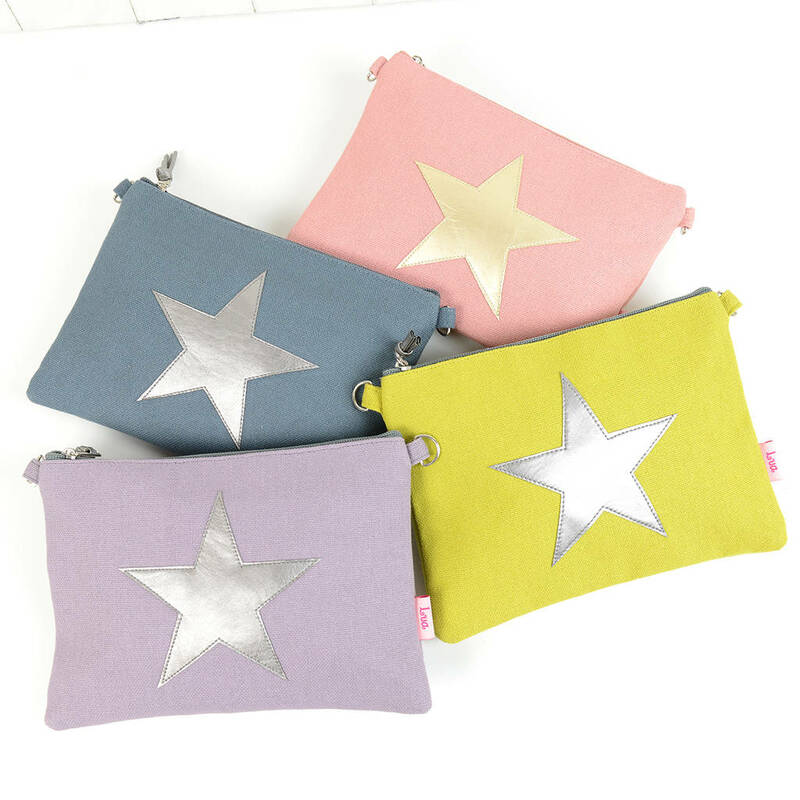 Created with a metallic faux leather applique star in pewter silver or soft gold. 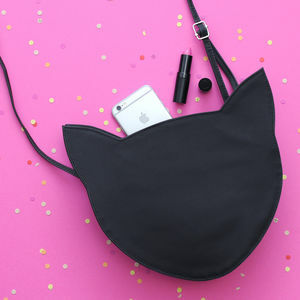 Suitable to store a phone, purse, keys and make up. 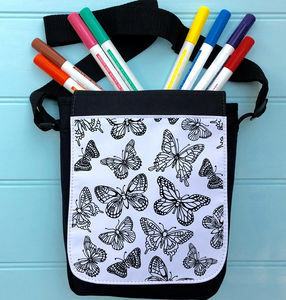 An easy and practical option when a large bag isn't needed, a stylish alternative. Features a zip pocket to the reverse side. 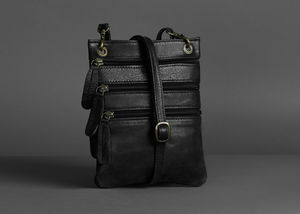 Lined with grey faux silk and taffeta zip pull. Slate Grey with metallic pewter applique star. Citrus with metallic pewter applique star. 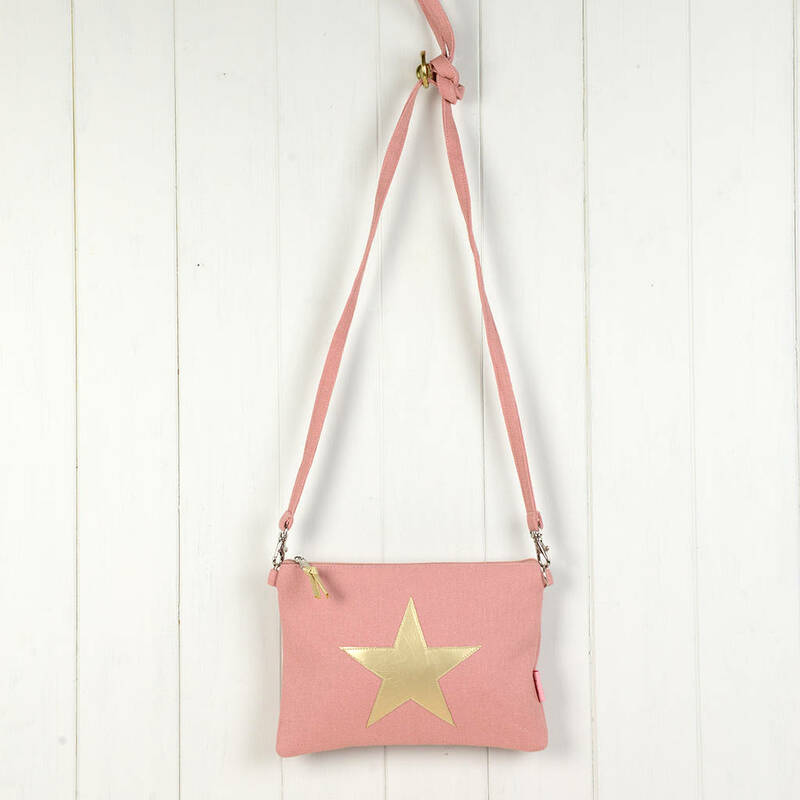 Blush Pink with metallic soft gold applique star. Lavender with metallic pewter applique star. Bag - 23 (w) x 16 (h). This product is dispatched to you by Home & Glory.